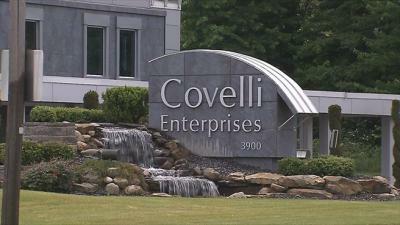 Covelli Enterprises settles a lawsuit about discriminatory employment practices. Will this change the company's behavior? A federal judge late Friday approved the settlement of a class-action lawsuit in which Covelli Enterprises, a major Panera Bread franchisee, was accused of denying promotions to black employees. Under the settlement, any African American who worked for Covelli's Panera stores for longer than a year and wanted a promotion between Jan. 11, 2008, and Jan. 11, 2012, can get payment for alleged lost opportunities. Covelli Enterprises owns all the Panera restaurant in Erie. The litigation against Covelli didn't begin with Vines' lawsuit, but rather with one filed by a white man, Scott Donatelli, who was fired as manager of Covelli's store in the upscale Pittsburgh suburb of Mount Lebanon in September 2011. The company claimed in court papers that Donatelli violated policies pertaining to medical leave, though Donatelli's lawsuit alleged he was fired for refusing to stop giving cash register duties to Vines, who was not identified by name in Donatelli's suit. Donatelli claimed a district manager reprimanded him and said Covelli would "(expletive) if he got a look at `that'" – referring to Vines working anywhere customers could see him. Not only that, but the hiring of African-American employees was discouraged, and only for menial tasks. Cleanup, dishes, other out-of-the-way work. Suddenly, I couldn't recall ever having been waited on by a black employee in any capacity at a Panera. Still, even on its best day, my memory is a tricky thing. My anecdotal experience meant nothing because I've never been a regular Panera customer, and I probably wouldn't have noticed the absence of black employees out front without a lawsuit prompting a sense of wonder and indignation. So the lawsuit fails to directly address the alleged discriminatory hiring or employment practices of Covelli-Enterprise-owned Paneras. Keep an eye out on our local restaraunts to see if things will indeed change.